For animals that still panicked, PETA says shearers stomped or stood on their necks and hind legs, One worker allegedly beat a lamb over the head with a hammer, while others allegedly slammed sheep against hard wooden floors. When shearing resulted in gaping wounds, PETA says workers didn’t administer painkillers before using needles and thread to close the cuts. Neither did investigators see veterinarian provide injured sheep with medical care. PETA says that most shearers consider sheep a “commodity and nothing more.” Because these workers are usually paid by volume, rather than by the hour, “fast, violent work” that creates severe cuts and ripped skin is often the result. But a representative of Australian Wool Innovation, a nonprofit trade group the represents more than 27,000 Australian woolgrowers, defended the standard of care at Australian sheep ranches. 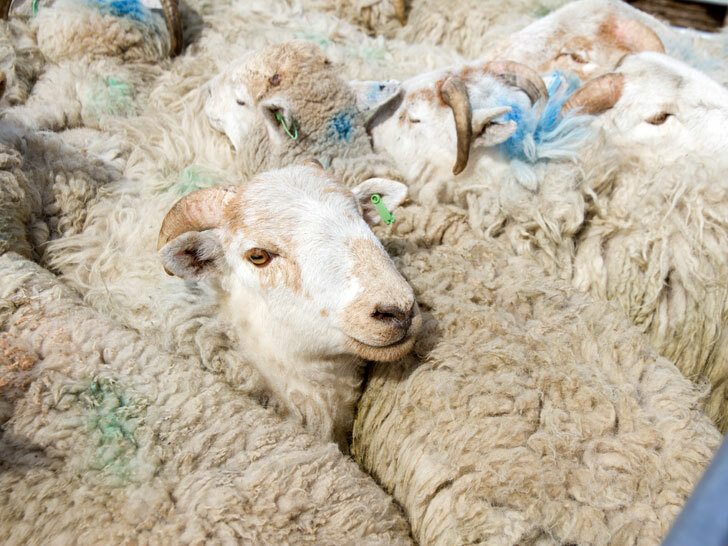 PETA is calling on leading sellers of wool, such as J.Crew and Ralph Lauren, to drop the fiber immediately in favor of animal- and cruelty-free materials. Hats off to PETA for exposing this horrific abuse. People are appalled when they learn that sheep in the wool industry are punched, stomped on, beaten, and worse. It just goes to show that whenever animals are treated as commodities�instead of the thinking, feeling beings they are�abuse is sure to follow. Stopping this cruelty is as simple as choosing from the many non-wool sweaters and scarves that are available everywhere. Such horrific cruelty and for all for a product that no one even needs. There are plenty of humane fabrics, including cotton, nylon, and polyester, but wool is clearly not one of them. Nothing can justify animal abuse and this practice is completely pointless and unnecessary. Why choose to support such cruelty when we have the option to be kind?